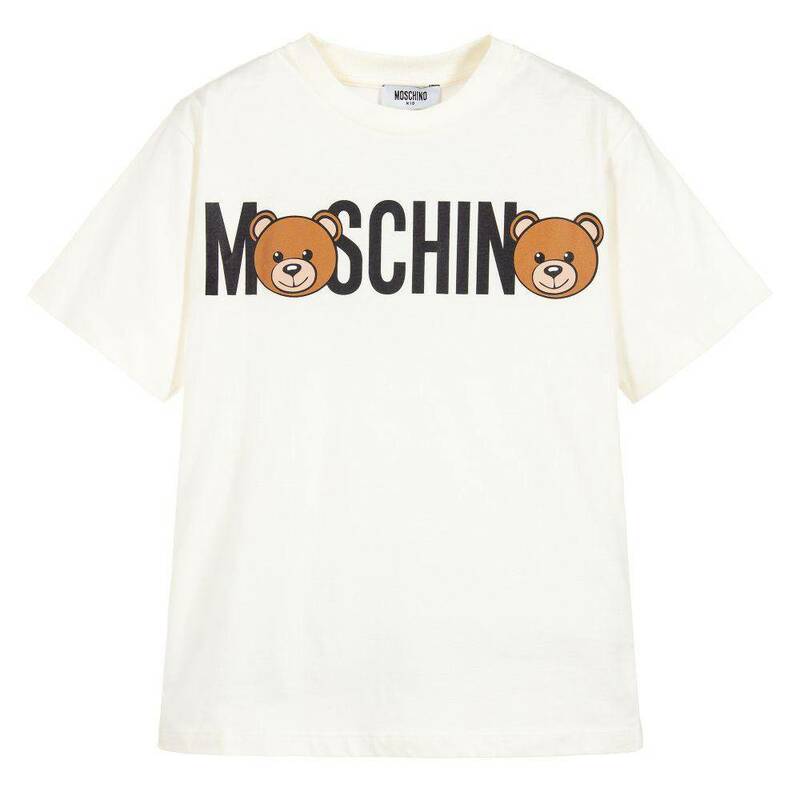 Ivory cotton T-shirt from Moschino Kid-Teen, in a maxi fit style. 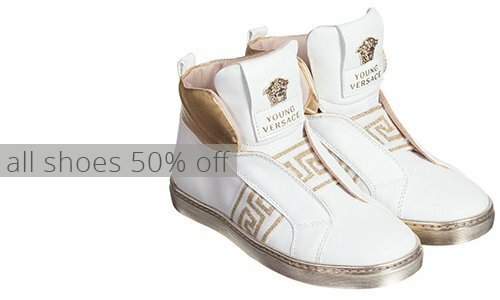 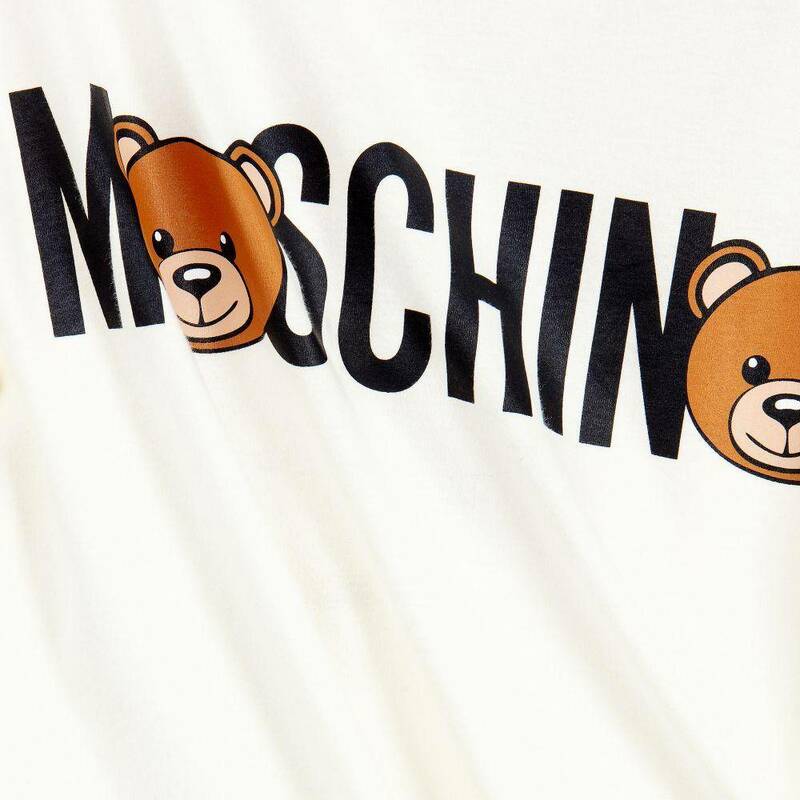 The front has a signature teddy and black Moschino logo print. 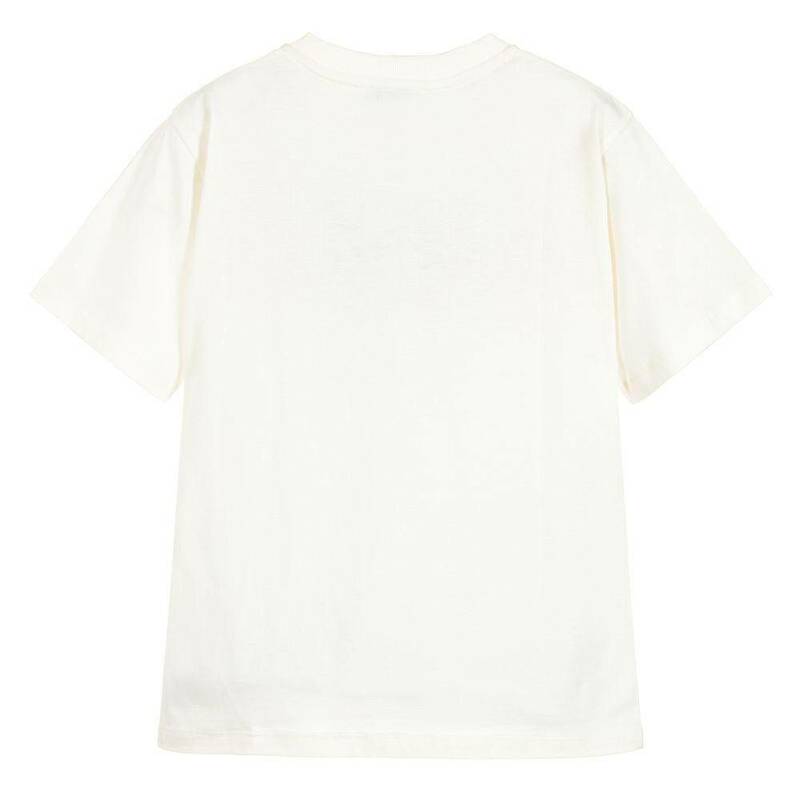 This T-shirt is from the boys collection but can also be worn by girls.